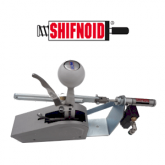 Shifnoid Archives - Contender Performance Products Inc. Single gauge shows bottle pressure. Includes 1/4″ hose quick connect fitting (actual product may vary from image). Dual gauge adjustable 0-150 lb, shows bottle and line pressure. Includes 1/4″ hose quick connect fitting (actual product may vary from image). DOT certified bottle with standard valve. 4 3/8″ diameter. DOT certified lightweight bottle with lightweight straight through valve. 2″ diameter. DOT certified bottle with straight through valve. 4 3/8″ diameter. Prevent premature RPM Switch activation due to tire spin or converter flash off the starting line. An additional circuit in the RPM switch provides a 1 second delay in the activation of the RPM Switch. This delay feature only prevents the RPM Switch from activating in the first second. It cannot be used as a delay box. Use for a variety of functions such as activating CO2 or electric shifters, Nitrous solenoids, shift lights, timing computers or anything that needs to be activated at a preset RPM. Switch is easily adjusted using optional plug in modules. 12 and 16 volt compatible, and will work with all ignition systems, except Magnetos. 8 cylinder only. Use for a variety of functions such as activating CO2 or electric shifters, Nitrous solenoids, shift lights, timing computers or anything that needs to be activated at a preset RPM. Switch is easily adjusted using optional plug in modules. 12 and 16 volt compatible, and will work with all ignition systems, except Magnetos. 8 cylinder only. Replace your heavy V1 valve with this compact, lightweight valve with shut off knob and pressure rupture disc. Allows you to mount your CO2 Regulator vertically. Replace your heavy V4 valve with this compact, lightweight valve with shut off knob and pressure rupture disc. Allows you to mount your CO2 Regulator vertically. Perma-Seal provides a permanent seal for the connection between your CO2 regulator and bottle valve . No more leaks. No more plastic washers. Works with CO2 bottle valves that are internally threaded. Replace the worn or missing seal between your CO2 bottle and Regulator (pack of 5). Empty CO2 bottle? Ever run out of CO2? Fill your CO2 bottle with compressed air directly from your air tank or air compressor. Designed for the high pressures associated with CO2, this part stays permanently on your regulator, ready for immediate use. This unit eliminates the problems of home built units and the dangers of high pressure. Because your regulator prevents free back flow, trying to fill your bottle from the regulated side will not allow your bottle to fill completely. Putting a standard valve in the high pressure side will result in a dangerous, destroyed valve when you use CO2. This new BACK UP AIR FILLER solves all these problems. Uses your regulator to maintain the preset pressures. Use for unexpected emergencies or full time without last minute bottle or regulator modification. PICTURE SHOWN FOR EXAMPLE ONLY. BOTTLE, REGULATOR and GAUGE NOT INCLUDED. Billet aluminum mount for standard 2″ diameter 10 oz. CO2 bottle. Mounts to roll bar to fit 1 ¼” to 1 ¾” tubing. For 2.5 lb, 4 3/8″ diameter bottle. Polished CO2 Bottle Mount. Mounts to flat surface. 12 or 16 volt, Normally open or normally closed operation. Three 1/8″ NPT ports. One IN, one OUT and one EXHAUST. Manual override button. Power and Ground Lead wires. Used on most CO2 / AIR devices. 125 psi maximum. 12 or 16 volt, Normally open or normally closed operation. Four 1/8″ NPT ports. One IN, two OUT and one EXHAUST. Individual flow controls for each OUT port allow you to contol the rate the air flows. Manual override button. Power and Ground Lead wires. Commonly used on Starting line controls and Throttle Stops. 125 psi maximum. Use as a muffler or vent. 1/8″ pipe threads. ¼” hose to ¼” hose x 2, quick connect. ¼” pipe to ¼” hose quick connect. (actual product may vary slightly from image). 1/8″ pipe to ¼” hose quick connect (actual product may vary slightly from image). Connect to your CO2 regulator to run two devices on the same bottle. 20′ of 1/4″ OD high pressure line. Designed for use with “Quick Disconnect” fittings. Overfilling or heat related over pressurizing may cause original disc to rupture. Have this safety burst disc just in case. 13/16″ wrench flats. Overfilling or heat related over pressurizing may cause original disc to rupture. Have this safety burst disc just in case. 5/8″ wrench flats. Overfilling or heat related over pressurizing may cause original disc to rupture. Have this safety burst disc just in case. 3/8″ wrench flats. Ideal to connect to your main power supply or ground and distribute to eight stainless steel terminals. 3/8″ post. Rated at 48 volts DC. Base is glass filled nylon. Mounting is 2.5″ center to center. Adjustable RPM Chip. Plug in RPM module works with most ignition controls including MSD and Shifnoid, and is adjustable from 1,000 to 11,000 RPM with the turn of a screw. When used with 2 RPM switches, it will allow you to shift at 2 different RPM settings. Solves the problem of a RPM level that does not drop off between shifts, preventing your RPM switch from shutting off and resetting itself for the next shift. This is a common problem if you shift before your converter is locked or your tires are spinning, such as mud racing. These situations allow the RPM level to continue to climb instead of dropping off after the shift. Built into the controller is a RF Filter and Voltage Regulator to increase the reliability and accuracy of the RPM switches and a lock out switch to prevent the unnecessary reactivation of your shifter, once the transmission is in high gear. The controller can be wired for 1 or 2 shifts when used with 1 or 2 RPM switches.